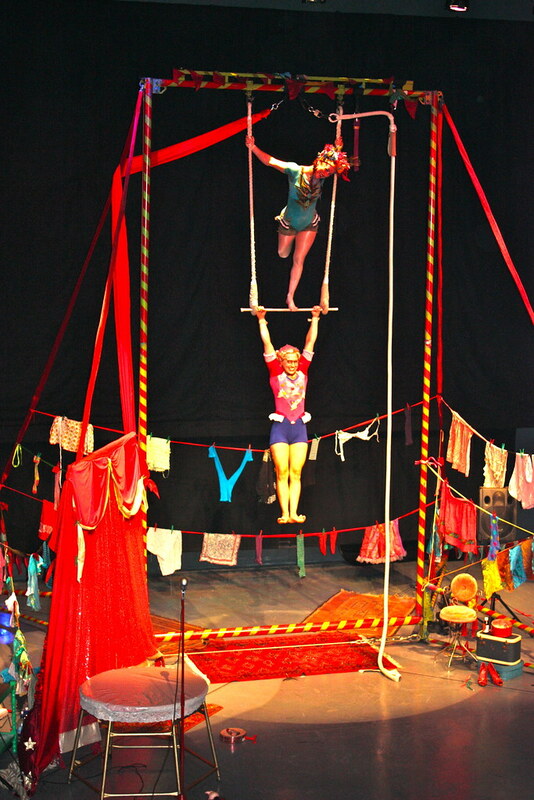 Daring aerial trapeze artists Ruby Two Shoes and Tulip had Model audiences with their hearts in their mouths with crazy and colourful stunts. The Belfast-based circus artists undertook superhuman physical feats, scaling hung ribbons and lofty swings with gravity-defying skill. These stunts were punctuated by hilarious interludes of exaggerated bickering between the performers. A great performance that was entertaining and exciting for all ages. 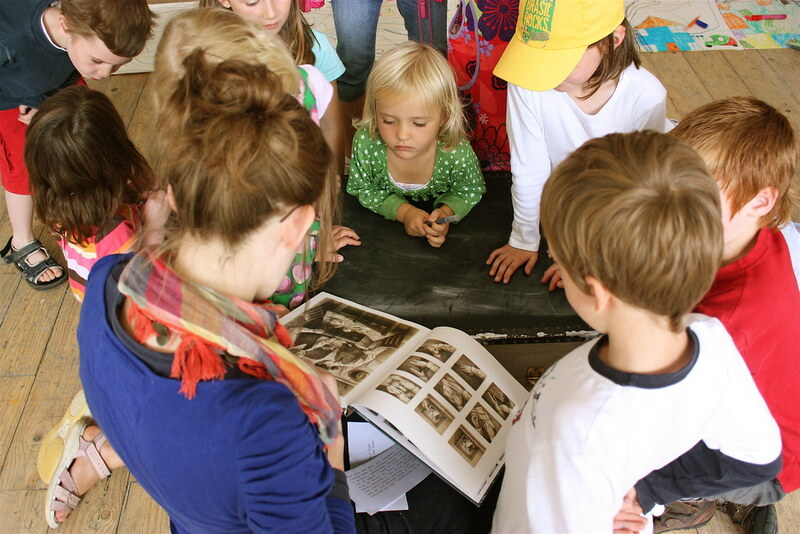 The Travelling Suitcase began with a fun and informal tour of the Jack B. Yeats exhibition. 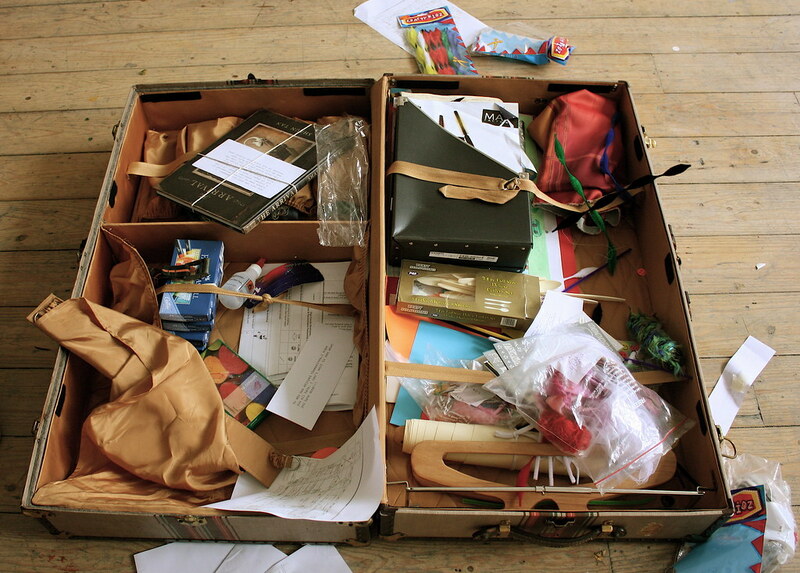 Workshop participants proceeded to open and empty the huge old human rights suitcase. Its contents were used to create multi-media images. Next, a carpet-like roll of paper was unfurled, which acted like a road to be traversed by the many crayons of the participants, where virtual characters were encountered who offered unique views on their travels. A story followed this, with the participants learning that difference in people can be special and likable, when understood. The Colourful Characters workshop at The Model began with a brief and fun tour of the current Jack B. Yeats exhibition. From gallery to the garden and back indoors, small fists holding botanical specimens of inspiration were brimming with inspiration. Watercolour being the early medium of Jack B Yeats, it was also the choice of material for the children in creating their own mini masterpieces. The group were then told an enchanting tale whilst moulding pieces of wax in reaction, on the sunny Model lawn. 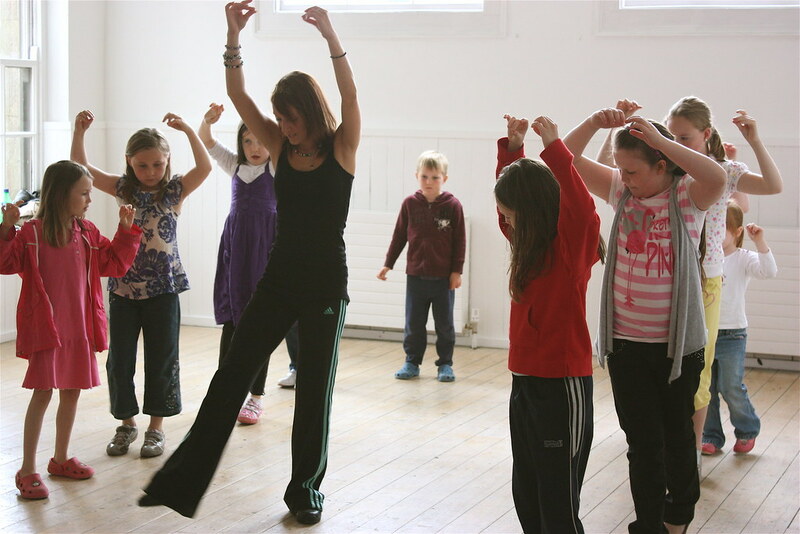 A Taste of Tartan was a very special dance workshop which took place in The Model celebrating diversity and difference, and added a kinetic dimension to the family programme. Dance steps from Scotland were performed and were then imparted to the youngsters. These high-jinks inspired smiles and gaiety from all involved and were then compared to similar steps from dances of the Lagan Valley, Co. Donegal. A highlight involved a daring Scottish Sword Dance. Fascinating stuff! The Drumming and Dance workshop rocked the house. A major feature of the workshop was the lambeg drum, a traditional drum used in Northern Ireland, which made a dramatic entrance during the workshop, played by Lambeg drum players form Lisnakea, Co. Fermanagh, who travelled down especially for the occasion. The children rocked, danced and drummed to their heart’s content, led by the wonderfully skilled and creative Peter Crann. A whole range of percussion instruments were there for children to choose from ranging from shakers and cymbals to an array of drums from around the world, including the bodhran. Images curtsey of James Fraher. Supported by Peace III, Inside Out – Outside In celebrates the acceptance of difference and diversity through creative engagement, a theme reflected in the exhibition. 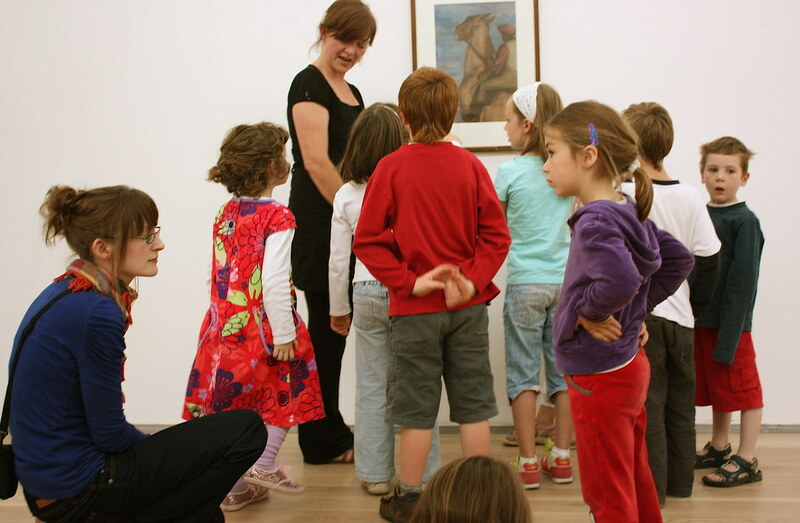 Written by Sarah Lundy, Curatorial Intern in Education, The Model, Sligo.